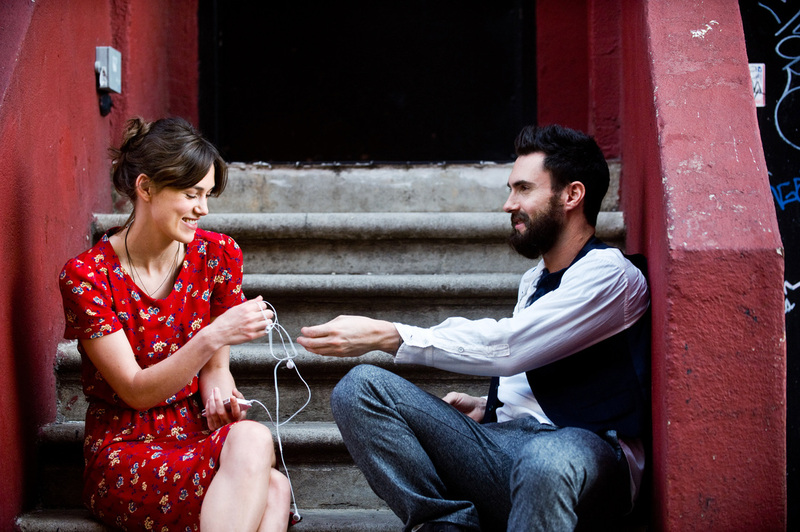 This article is a review of BEGIN AGAIN a.k.a. CAN A SONG SAVE YOUR LIFE? You remember ONCE right? The loveliest movie of 2006. Connecting far beyond its indie roots, there is even now a theatre musical adaptation currently running. Since then writer-director John Carney has unfortunately not made the cinematic splash predicted. And perhaps that is why he has returned to a romantic drama set in the music industry. Upping the slickness, budget and A-list casting, while wisely retaining singer-songwriter Glen Hansard as a musical contributor, he has taken ONCE and made it bigger. Has he made it better? The British in New York. James Corden’s Steve drags Keira Knightley’s Greta on stage in a hipster bar that has echoes of Mike Myers doing beat poetry in SO I MARRIED AN AXE MURDER. She performs to an indifferent crowd, except for Dan. It is a cringeworthy scene, and CAN A SONG SAVE YOUR LIFE? spends the remaining runtime needlessly trying not to drown. Needlessly, as the casting of Ms Knightley is a fatal flaw continually dragging down the endeavour. It does not look as if she is actually singing or can play an instrument; the lack of her credibility as a musician jars throughout. Added to that is Knightley’s paucity as an actress, a harsh criticism one is aware, and it is not personal attack. Her career is filled to the brim with clunky performances (except BEND IT LIKE BECKHAM and THE DUCHESS). Last year’s ANNA KARENINA suffered a similar fate. Such a shame, as another actress might’ve shepherded a gratifying big sibling for ONCE. From the initial bar crooning we jump back to earlier in the day. We watch borderline-alcoholic A&R man Dan detonate his career. Chucking demoes out of his old-school Jaguar automobile, in disgust at general creative stagnation assaulting his eardrums, is our foray into a personality lacking in social lubrication. (Also an unsubtle establishment of Dan’s high standards, and our vicarious wowing by Greta’s talent.) Turning up late to a meeting with record label business partner Saul (Mos Def), he gets canned in front of staff. The regular injection of intentional awkwardness (rather than Knightley acting) is a welcome tonal addition. Anyone who has seen the director’s comedy ZONAD will attest to that muscle being fully flexed. Dan’s firing is witnessed by 15-year old daughter Violet (Hailee Steinfeld). Separated from his wife and her mother, music journalist Miriam (Catherine Keener), rock bottom calls when Greta is spied. CAN A SONG SAVE YOUR LIFE? covers a short time period, though uses a flashback structure to bring us up to speed on backstory. Upping sticks from England to support the burgeoning music career of her boyfriend Dave (Maroon 5’s Adam Levine), Greta is about to return home broken-hearted, tail between legs, after the typical path of fame corrupting fidelity. Dan sees greatness and offers to sign her to his ex-label. 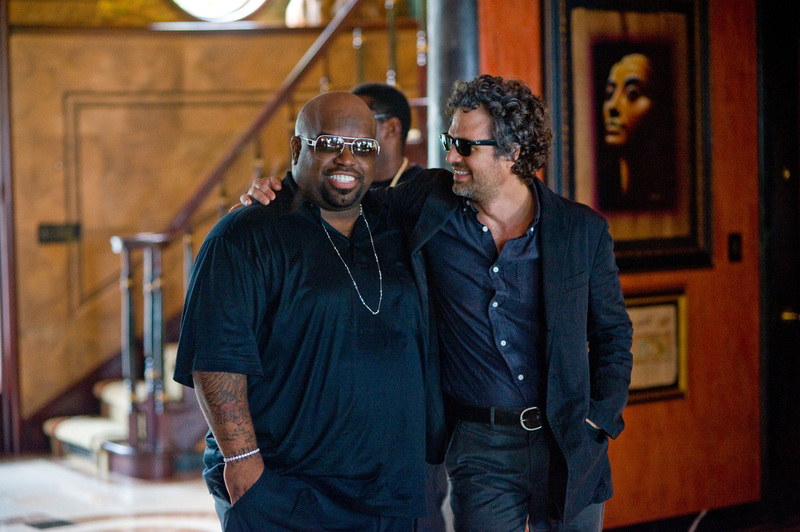 Ruffalo turns in an especially charismatic performance. Who could resist the Incredible Hulk? And rinse repeat, the audience is in ONCE-again territory. 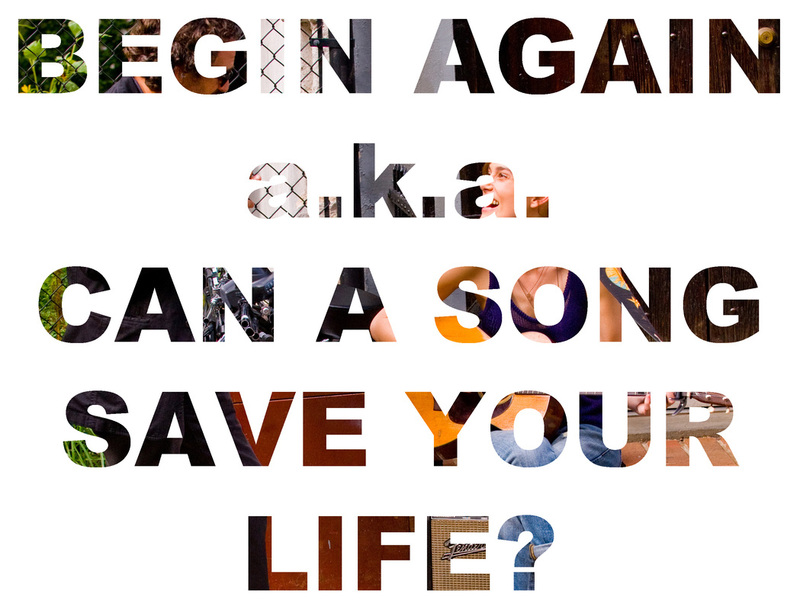 CAN A SONG SAVE YOUR LIFE? tries to capture lightening in a bottle twice, concerning forlorn individuals who might just be the other’s salvation. Most importantly the film contains an absolute killer soundtrack (eclipsing even that of INSIDE LLEWYN DAVIS), fused to invigorating, joyous renditions in various Big Apple locales. This might have been another winner if not for the casting snafu; instead is relegated to winsome short bursts.